2011 Australian of the Year, Simon McKeon shared his leadership journey and his passion for a more equitable world. Simon provided some valuable insights from his personal experience about how business leaders can make a difference in the corporate and broader community. Simon shared his own leadership journey, the defining points in his career, his motivation for contributing so much of his time and energy to community activities and challenged business leaders to make a difference in the broader community. This was a challenging, inspirational and insightful event – see the edited video highlights below. 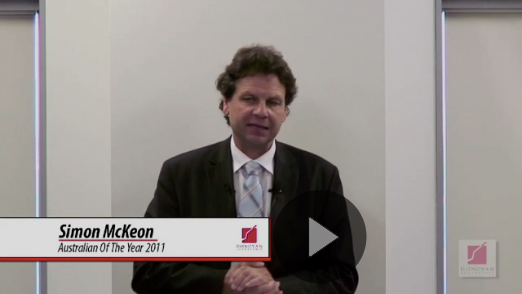 Simon McKeon – Leadership Conversation from Brian Donovan on Vimeo.